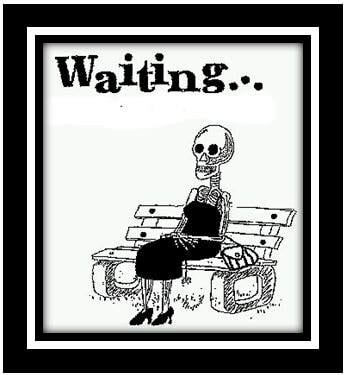 Dental X-rays should not be taken every Six Months on every patient. The American Dental Association has guidelines for frequency of Dental Radiographs (Xrays). The decision to take xrays should be made by the Dentist based on the individual patient's needs. 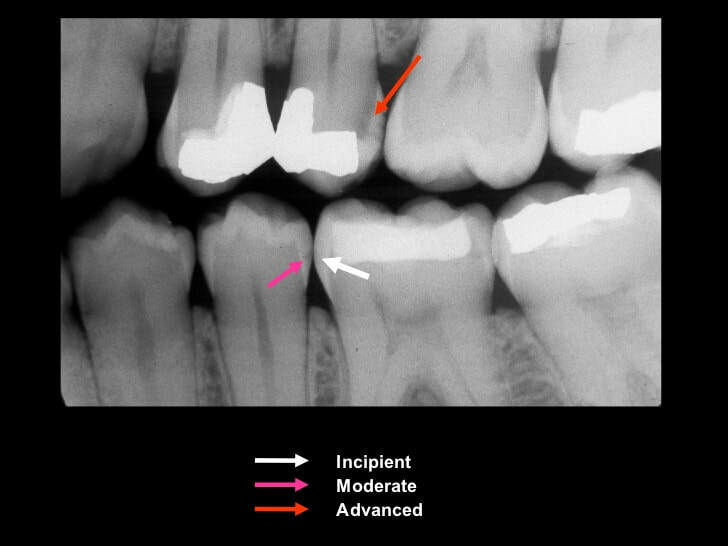 Some patients without a history of Dental Caries may have xrays as infrequently as every 3 years. What do the letters MAGD mean? 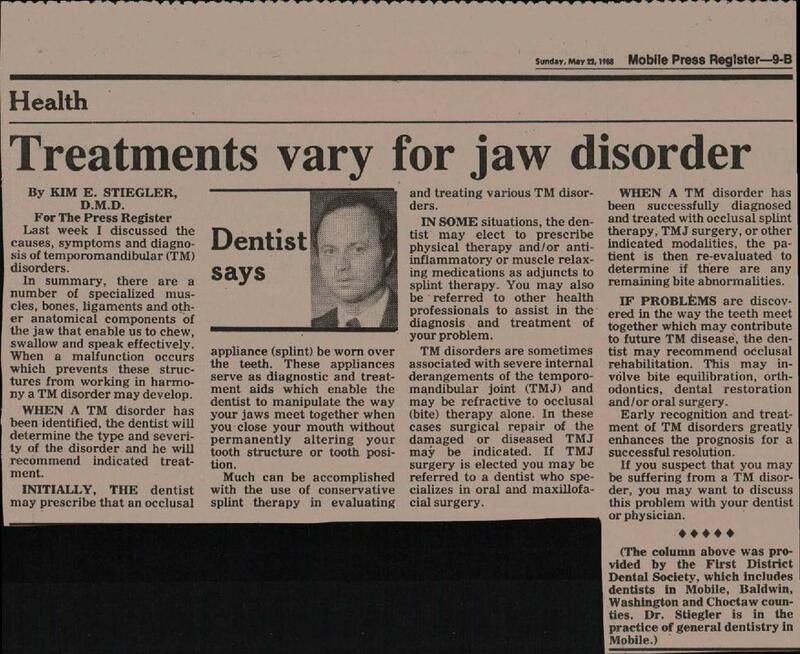 Many Temporomandibular Disorders (TMJ, TMD) are still best treated with conservative therapy. 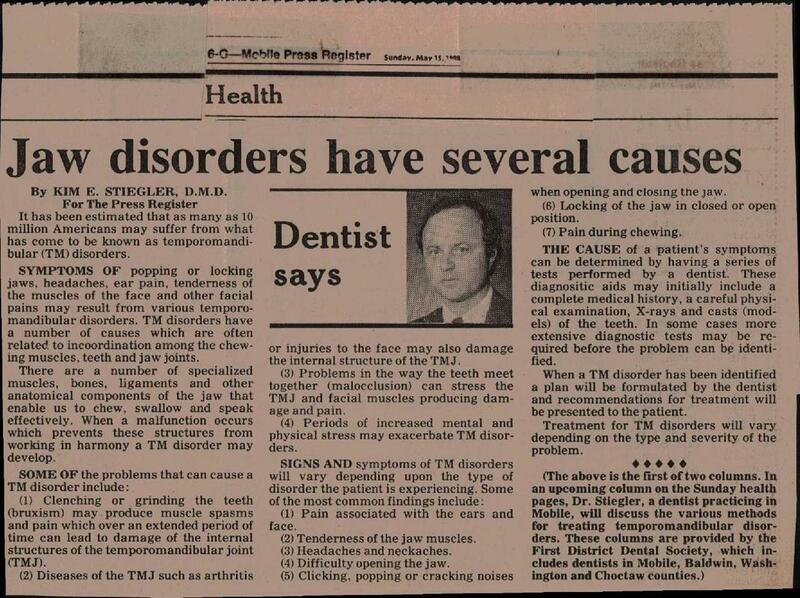 In May of 1988 I wrote a series of articles for the Mobile Press Register concerning causes and treatment for Jaw Disorders. Many of the treatment options discussed are still used today. Conservative therapy is usually effective and surgery is rarely needed to resolve most of these conditions. 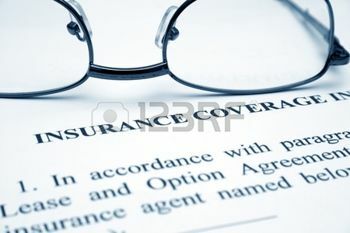 The first article discusses the causes and the second covers treatment options. I have scanned the articles and posted them on this blog as a reference. Can Gum Disease really cause Heart Attacks? ​There are a number of studies that have revealed an association between Periodontal Disease (Gum Disease) and Heart Disease. A direct cause and effect has not been proven but there are indications from research that Periodontal Disease increases the risk of Heart Disease, Stroke, Cancer, Diabetes and other health problems. Studies show that half of all Americans and 70% over the age of 65 have Periodontal Disease. Risk factors include: Genetics (some people are more susceptible), Age, Smoking, Stress, Medications, Clenching or Grinding your teeth, other Systemic Disease, Obesity, and Poor Nutrition. ​Periodontal Disease is a disease of supporting structures of the teeth which can lead to infection, loss of bone and eventual tooth loss. Periodontal Disease can only be diagnosed by a Dentist or Dental Hygienist. In our office we perform a periodontal evaluation during your Dental Examination when you have your teeth cleaned which includes probing your gums for signs of periodontal disease. ​The good news is that Periodontal Disease can be treated and prevented but it is important that you have your teeth cleaned and examined by a dental professional on a regular basis. Periodontal Disease can go undetected and lead to infection and loss of teeth if it is not diagnosed early. Good oral health can contribute significantly to your overall health! 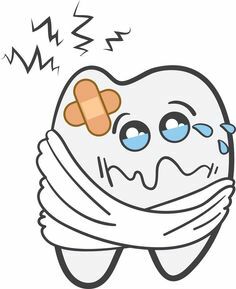 Have you been told you have lots of new cavities (aka: caries) that you did not expect! 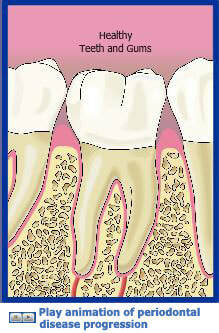 Dental caries are caused by bacteria that live in our mouths that stick to our teeth. When we consume sugar containing substances this causes these bacteria to produce acids that decay our teeth. During the Christmas Season we tend to consume more sugary foods but we also are exposed to more cold viruses and the associated coughs that come with them. Cough drops can contain sugar and because they remain in our mouths for extended periods of time they can be a significant cause of dental caries. It is important to note that even small quantities of sugar can cause tooth decay if they are in contact with our teeth for a long time. So try to minimize the amount of sugar containing foods and beverages that you consume in between meals. If you use cough drops or breath mints make sure they are sugar free. If your dentist tells you that you have a lot of new cavities look for new sources of sugar that you may be consuming and try to minimize your exposure. 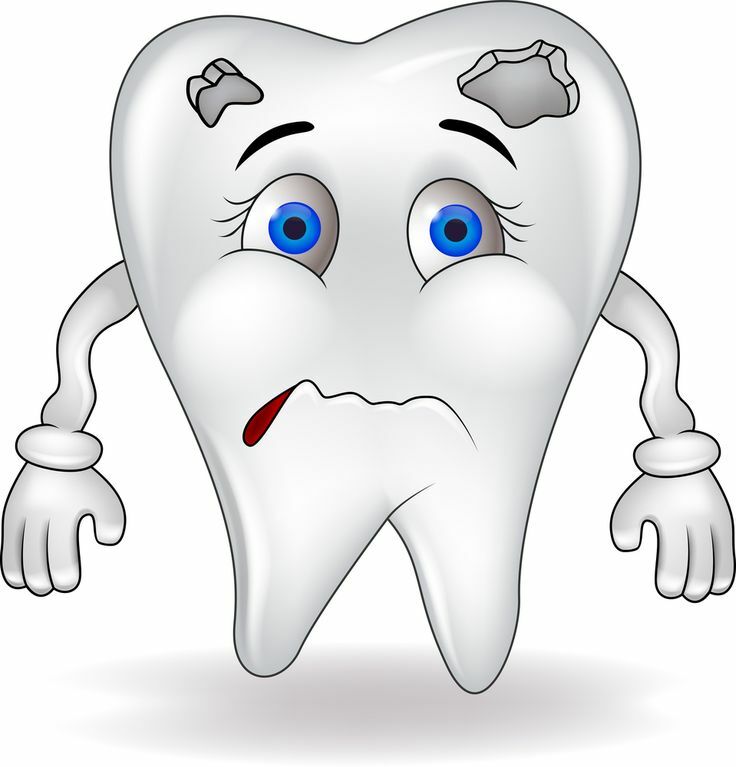 If you are seeing a Dentist for the 1st time and you are told you have a lot of cavities that you did not expect you may also want to consider a second opinion. 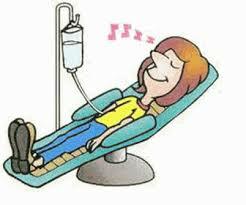 Intravenous Sedation (IV) is a method for administering sedative medications directly into the bloodstream. This allows for the sedative medications to be titrated in a safe and effective manner for each individual patient's needs. Unlike oral sedation the effects of the medication are achieved quickly and predictably and can be better adapted to the tolerance of each patient's specific needs. Sedation in Dentistry has a long history of safe and effective use. 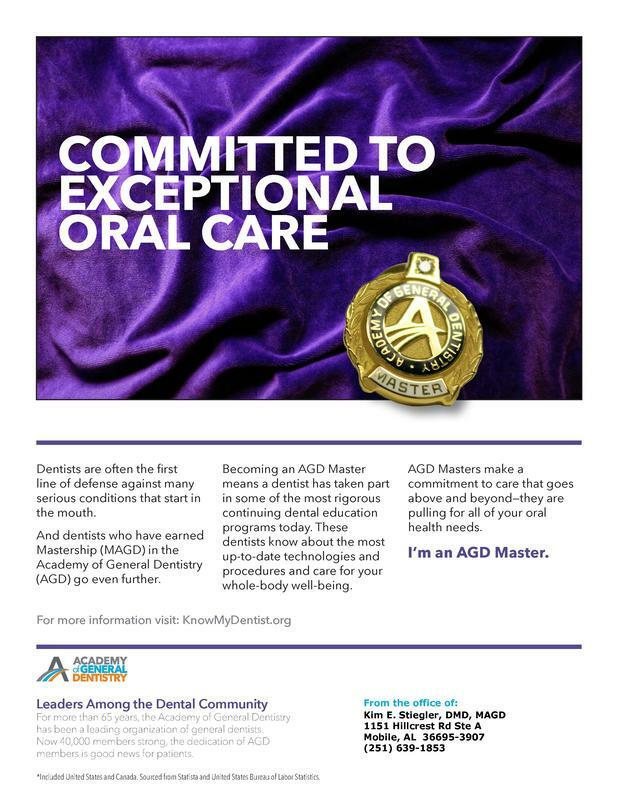 Modern technology allows us to more carefully monitor patients during procedures and combined with newer drugs and techniques we can achieve even better safety and comfort for our patients who have anxiety about receiving Dental Care. ​I wrote the article below which appeared in the March 16, 1986 edition of the Mobile Press Register. It described methods for controlling Dental pain and anxiety that we still use today. A Dental Microscope can improve care. A Dental Microscope allows for very high magnification and better illumination. Higher magnification can enabe a Dentist to provide more precise and conservative care. With the combination of a high definition camera it also allows the Dentist to project an image on a screen so the patient and assistant can watch the procedure and digital images can be captured for better communication. GRINDING CAN SEVERELY DAMAGE YOUR TEETH AND JAWS! Teeth Grinding , also known as Bruxism , can occur as a habit while you are awake or as an unconscious behavior while you are asleep. Nocturnal Bruxism usually occurs during a phase of sleep where the patient has no recall of the activity. This is often a very intense activity that can lead to severe attrition and fracture of teeth as well as Temporomandibular (TMJ) Disorders. It is important to see a dentist who is trained in treating TMJ Disorders (TMD) to evaluate your condition and deliver a properly designed and equilibrated splint. Improperly constructed and adjusted appliances could lead to pain and further damage to your teeth and jaws. If you are aware of clenching or grinding your teeth while you are conscious it is important to note that your teeth should only touch together while you are chewing or momentarily when you swallow. 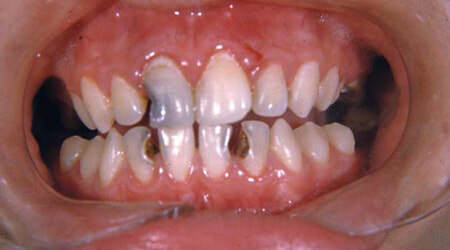 Any other tooth contact is considered parafunctional and can lead to problems. 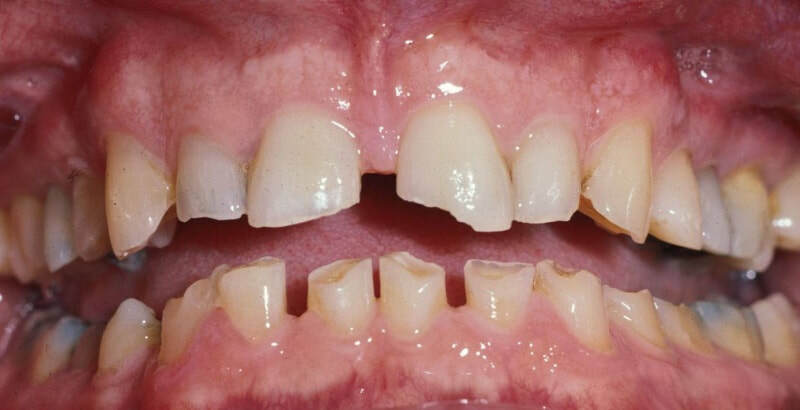 Evidence of Nocturnal Bruxism could include soreness , pain, and/or popping in your jaws, teeth attrition or fracture of teeth from unknown origins, or wedge shaped defects and recession at the gum line of your teeth (abfraction lesions). If you suspect that you have this problem it is important to discuss this with your Dentist. 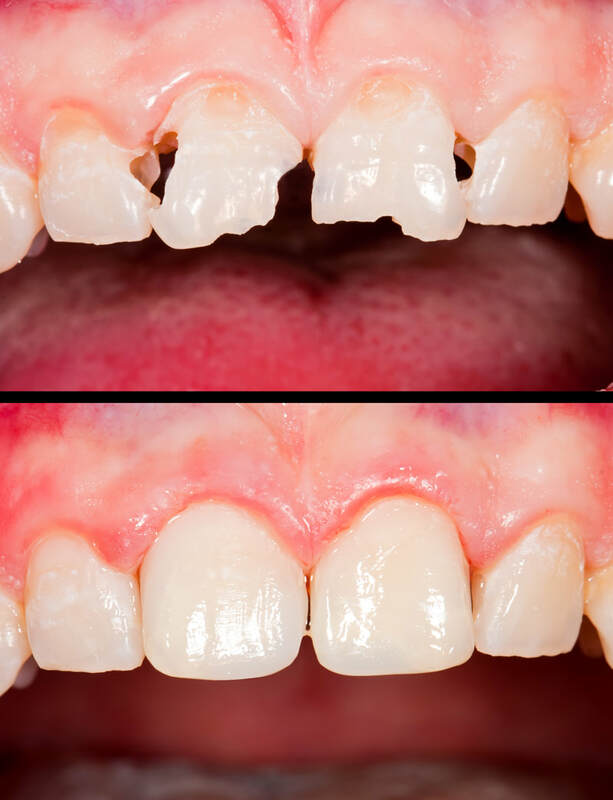 Early diagnosis and treatment can prevent more serious damage to your teeth and jaws and may help you avoid extensive and expensive teeth rehabilitation.